Now don't tell me that 'we're' going to interfere with their democratic elections ! How about a few Izraeli missile attacks to keep the pot boiling ? Haw, haw.........haw. Yanqui- go home- and take your terrorists and white helmets with you. 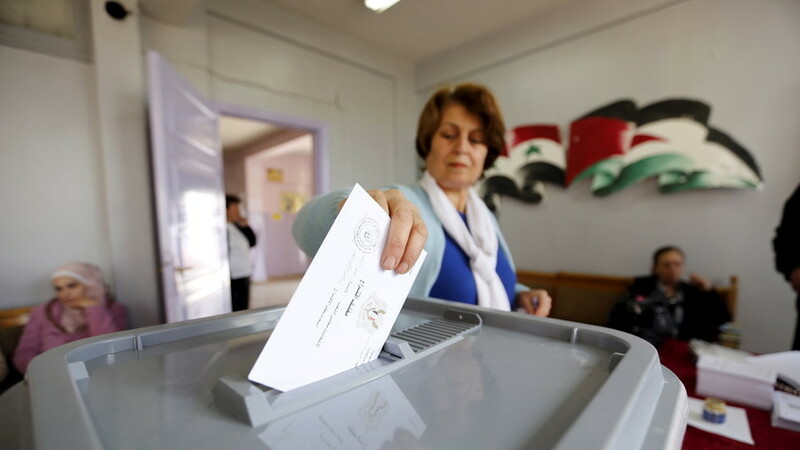 oday’s local elections, the first to be held since the conflict broke out in 2011, comes amid continued violence in various parts of the war-ravaged country. On Saturday night, an airstrike – purportedly carried out by Israeli jets – hit Damascus international airport causing several explosions. More than five million refugees and six million internally displaced people will not be able to cast their ballots. Nevertheless, the elections are valid and welcome. The process re-establishes a sense of security for the demos and invites refugees and the displaced to return and strengthen it. Also it really pisses-off the US/Izraeli subversives and their gun-runners. The Syrians, Russians, Iraqis, Iranians, Palestinians and Lebanese will take great comfort from it. Maybe even the Turks. C'mon it's democracy. Doesn't that make you..er......happy ? Any word on what's happening with the Northern Federation? Are there any candidates other than Assad? C'mon kudzu- your bias is blinding you. It's LOCAL elections. Is the inaccuracy of the polls over the past four years proof of election rigging? Why tell the Syrians we are about to bomb them, sad!